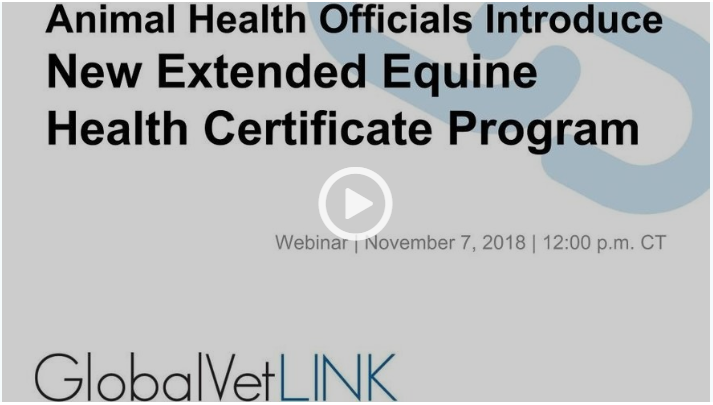 GVL® digital Extended Equine Certificates of Veterinary Inspection (EECVIs) provide a better solution for frequent horse travelers to keep moving and stay compliant. Available now in the following states: AL, AR, FL, GA, ID, KS, KY, MD, MN, MO, MS, MT, NC, NM, OK, SC, SD, TN, TX, VA, WA, WV and WY. See below for more information on state participation. Note: EECVIs have replaced GoPass®. Any GoPass certificates written before Jan. 1, 2019 are valid six months after creation in participating states. Presented by Montana State Veterinarian Dr. Martin Zaluski and Wyoming Assistant State Veterinarian Dr. Thach Winslow. Note: To earn Continuing Education (CE) credit for this webinar recording, you must complete a post-course test. 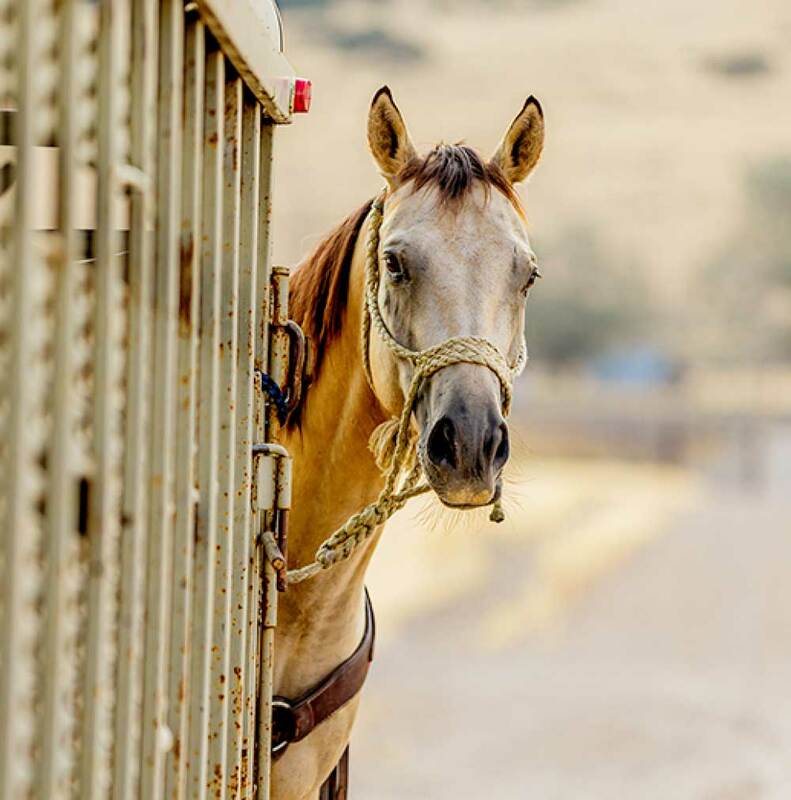 While rules vary by state, traveling with horses often requires up-to-date Certificates of Veterinary Inspection (CVI / health certificates), sometimes current within the last month. Some state animal health departments allow veterinarians and horse owners the option of a six-month health certificate, as long as a current Equine Infectious Anemia (EIA) / Coggins test has been provided. GVL developed EECVIs to support the states that offer six-month health certificates with a digital solution. Through the GVL software system, veterinarians can create an EECVI online, submit it to their state animal health official electronically and provide owners with online access to retrieve their travel permits 24/7. Explore our EECVI help center for FAQs and helpful information. The states that are currently participating in the EECVI program include: Alabama, Arkansas, Florida, Georgia, Idaho, Kansas, Kentucky, Maryland, Minnesota, Missouri, Mississippi, Montana, North Carolina, New Mexico, Oklahoma, South Carolina, South Dakota, Tennessee, Texas, Virginia, Washington, West Virginia and Wyoming. Many additional states plan on participating, but are not able to at this time due to requirement of a legislative rule change period. We will share information as additional states join the program in the future. If you have questions about your state participating, please contact your state animal health official. Contact information for each state may be found here: https://www.globalvetlink.com/resource-center/regulations/. Ask your veterinarian if they offer GVL EECVIs for the convenience of traveling with horses. To find a veterinarian in your area, use our free Find-A-Vet search tool. If your animal health practitioner is not listed, ask them to subscribe to GVL, or contact us to let us know the clinic name, contact and location.